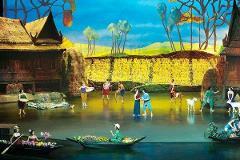 Leave your troubles behind and head to the quaint town of Ban Bor Thor. 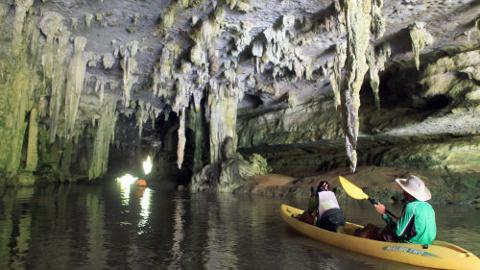 On this full-day excursion, kayak through the wild mangrove ecosystem and gorgeous limestone, dine on a delicious lunch and discover ancient cave paintings at Phee Hua Toe. 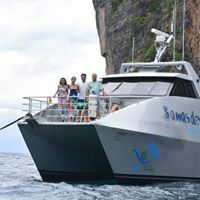 After pick-up from your hotel, travel through the rainforest, passing rubber trees and an oil palm plantation before arriving at the hamlet town of Ban Bor Thor, 25 miles (40 km) north of Krabi. 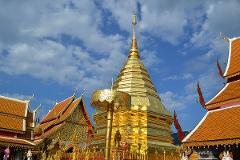 Upon your arrival, take in the majestic scenery of the village, known to be one of the earliest sites of human settlement in Thailand. 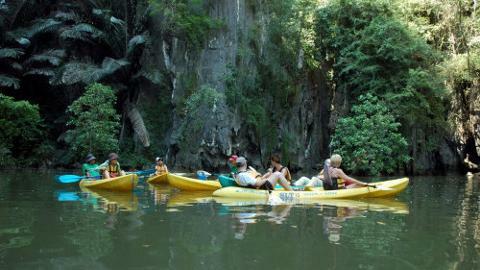 Continue your tour with a safety briefing and a lesson in kayak manoeuvres. 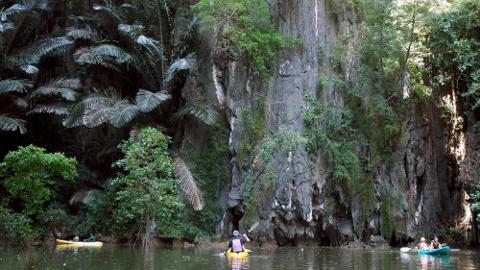 Then set off with your guide to explore the mangroves. 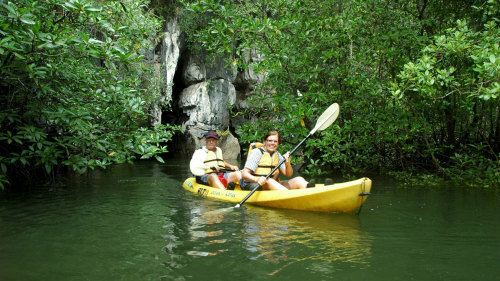 Paddle down the narrow channels and into the sea caves around the lagoon, spotting some local wildlife and birds along the way. Later, make your way back to the village for your delicious local lunch. 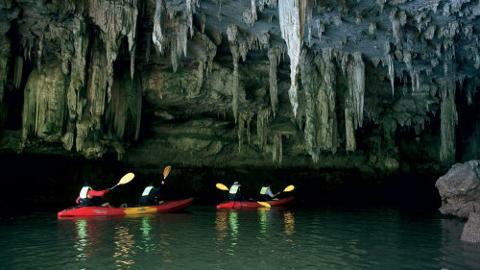 With your energies recharged, paddle your way to Phee Hua Toe Cave and marvel at its beautifully decorated stalactites and stalagmites. Here, see the ancient cave paintings that depict humans and marine animals in prehistoric time – they're thought to have been drawn some 3,000 years ago. 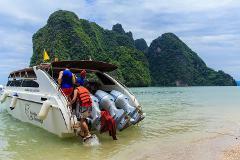 Next, return to Bor Thor and take a refreshing swim in the crystal-clear Phu Thara streams that originate from the jungle. 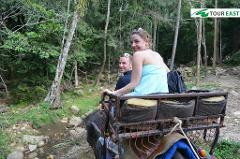 After a full day of adventure, your transfer waits to return you back to your hotel. Hotel pick-up is 30-60 minutes prior to the booked tour start time.